disposable dinnerware, Fineline Settings Blog | Father's Day 2015! HE WAS OUR FIRST HERO. HE WAS OUR FIRST KNIGHT IN SHINING ARMOR. HE WAS OUR FIRST “SATURDAY-MORNING-CARTOON” BUDDY… HE IS OUR DAD! There is no one quite like him, and he was always willing to go that extra mile to teach, guide, and mentor us. While many of our dad’s may not have been the best: fashion consultants, hair dressers, or chefs, every day we knew that there was no man in our life that would go as far as he did just to make us smile and keep us safe. From piggy-back rides, to handing us the car keys for the first time, many of us are fortunate that he was there for all of the milestones in our life to guide and cheer us on. JUNE 21st IS FATHER'S DAY, so let’s take the time we have now to show dad just how much of a hero he is to us with the convenience and classic style of FINELINE SETTINGS! TAKE DAD FISHING THIS WEEKEND, and keep your drink secure and cool in one of our SUPER SIPS PET DRINKING CUPS! Pour up any drink you can think of, and Super Sips will stand tall until you’re ready to dispose of them into the closest recycle bin! IF DAD LOVES BBQ, then serve up some outdoor smiles with our PLATTER PLEASERS TRAYS and our SUPER BOWLS SERVING BOWLS. With lids to match, left-overs are a SNAP- and if dad cleans his plate, just toss the used tableware into a trash bag and spend more time listening to his stories from the “Good-ole’–days”! MIX THINGS UP WITH DAD THIS WEEKEND while you shake up some fun with our QUENCHERS SHAKERS! 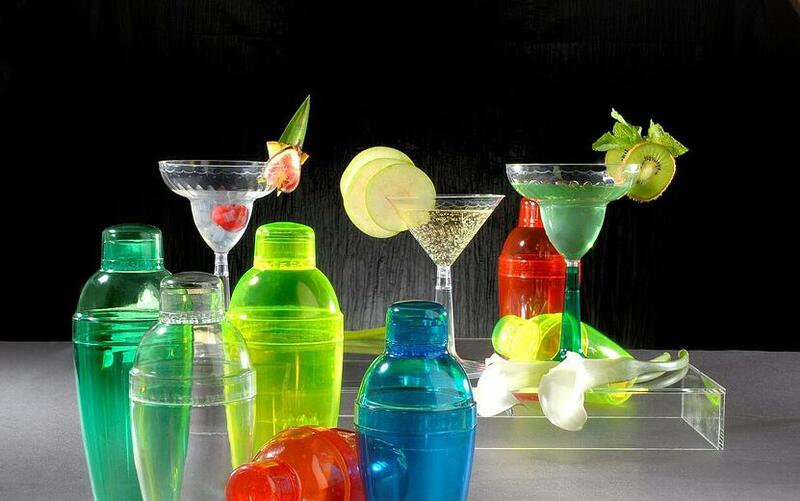 With multiple sizes and styles of our FULLY DISPOSABLE DRINKWARE, you'll keep dad dancing throughout the day! IF YOU REALLY WANT TO LEAVE AN IMPRESSION ON DAD, then our new "PRINT-ON-PRODUCT" options are the perfect way to do it! Tell dad just how great he is without ever having to say a word! Make your WORLD'S GREATEST DAD a work of art, and don't worry about what type of event you plan on hosting, our "PRINT-ON-PRODUCT" feature is compatible with practically ALL of our Fineline Items! FLS Father’s Day 2015 Top “PIN-IT” List! Whether you’re celebrating a daddy, an uncle, a papa or even just a man in your life that has made a positive impact on you, don’t take just this arbitrary day to remind EVERYONE you love just how much they mean to you! Make sure you let the special man in your life know that Fineline Settings hopes his JUNE 21st is THE BEST FATHER’S DAY EVER! HAVE A GREAT REST OF YOUR JUNE, EVERYONE! Jun 22, 2015 1:41:33 PM Mikenzi Phillips Father's Day 2015!